In business for over 27 years, Edward Beachy prides himself not only on the heirloom quality furniture he builds, but also the variety of pieces and styles his company makes available to its customers. 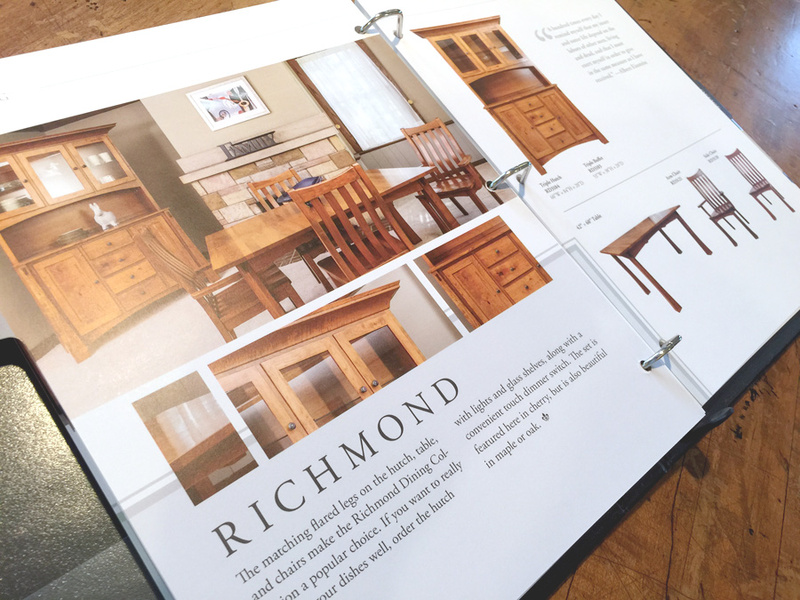 Working with over 100 retailers nationwide, Edward wanted to make sure his customers understood the breadth of Glenmont Furniture’s product offering and the incredible craftsmanship that goes into each piece. Knowing our extensive print experience, he came to Cassel Bear to get the job done. 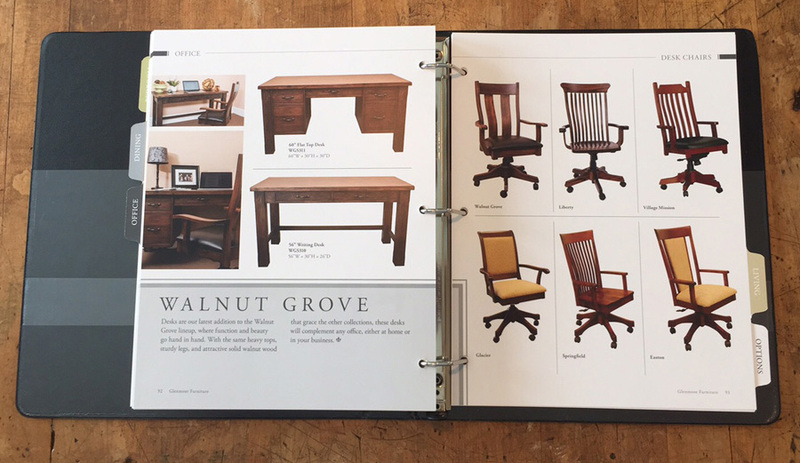 Inspiration for the new catalog came from extensive research into today’s furniture industry. We looked at industry leaders like Arhaus, Pottery Barn, Ethan Allen, and others, and noticed some commonalities we wanted to emulate: bold photography, clear type, strong information hierarchy, and an abundance of white space that really allows the beauty of the furniture to shine through. Additionally, we noticed that, in these leading catalogs, each collection was arranged almost identically, making it easy to find, identify and compare pieces across different collections. 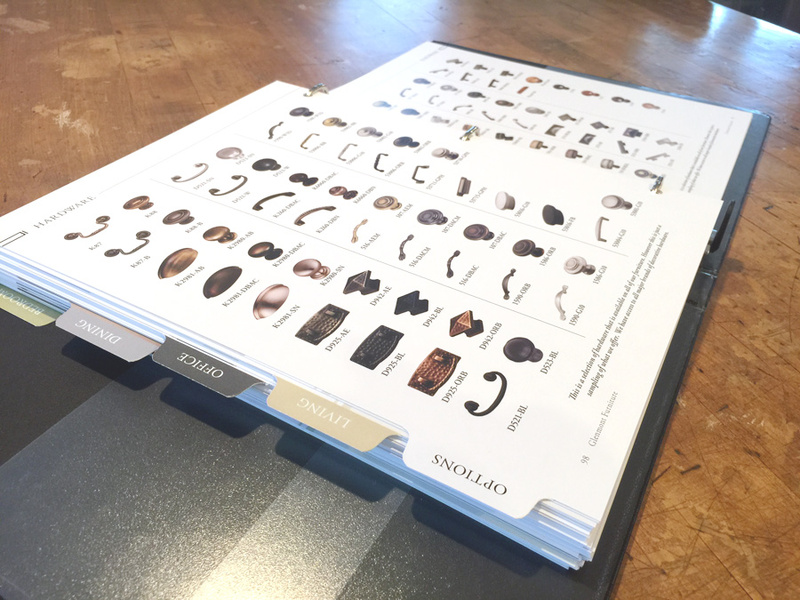 With over 100 pages planned, a style guide and template system was devised to make production of each collection efficient and to help reduce errors. 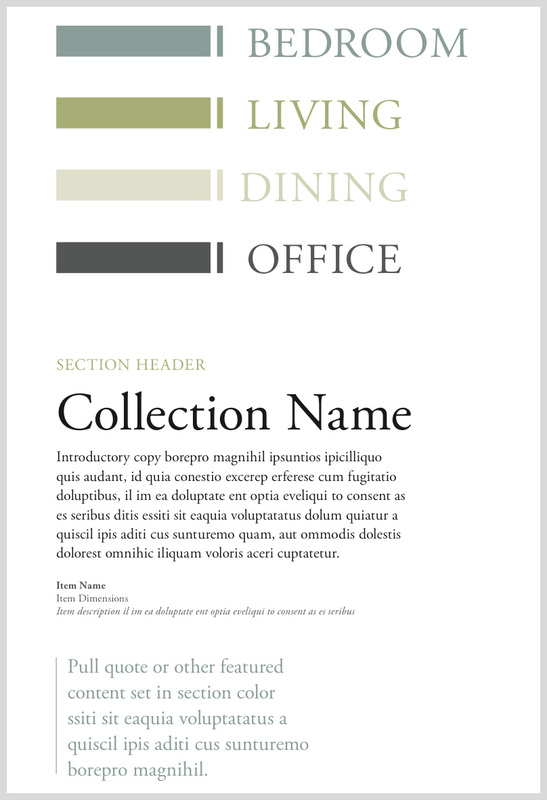 These templates were standardized between each section (Bedroom, Dining, Office, Living) but allowed enough variation to suit every conceivable combination of furniture pieces. This system also allowed us to include some late-in-the-process additions, such as hardware and stain samples, without much additional design effort. Throughout the design process, we made sure to keep referring back to our three goals: clarity, focus on the furniture, and unifying the collections. We went through several iterations of the template system, adopting new ideas where they worked and cutting old designs when they could be improved upon. With the design templates in place, an extensive organizational effort was the next task to conquer. Every piece’s name, model number, and dimensions were checked against a master list for completeness and accuracy. Existing photography was evaluated (usable, needs edits, needs to be reshot) and three separate photoshoots were scheduled to capture the new imagery the catalog required. Photographing furniture, as you can imagine, requires a sizeable studio space, and we were lucky enough to stumble across an old farmhouse that, after some remodeling, was the perfect location to showcase Glenmont Furniture’s new collections. With photography complete and the majority of the layouts finalized, our focus turned to production. As we’ve discussed before, paper choice is a critical part of the design process. A heavy, silk-finish stock was chosen to aid in flipping through the catalog as well as ensuring that every photograph jumped off the page. The final catalog, fresh off the press. At the end of this three-month process, we were proud to present the completed piece to Glenmont Furniture. 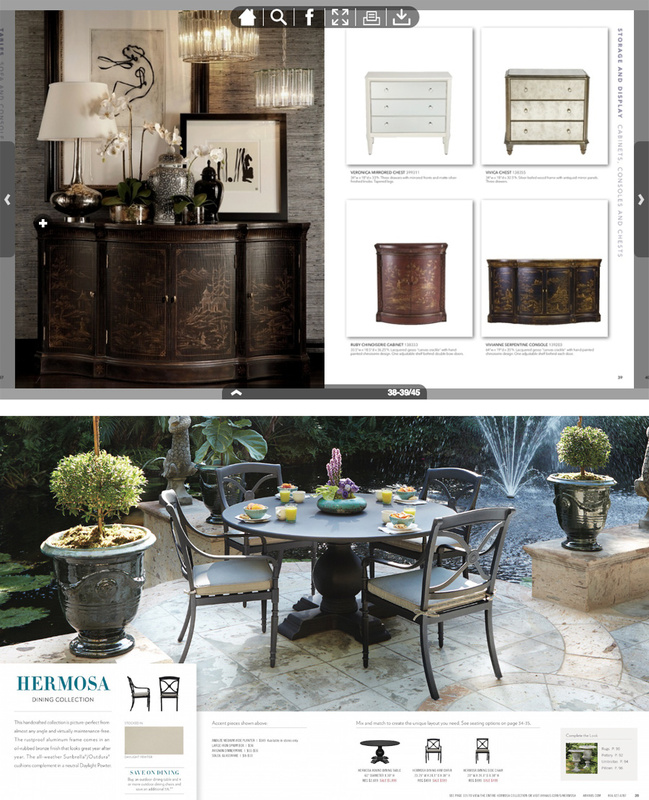 This new catalog will carry their furniture across the country and serve as a visual ambassador to customers in every state. We’re personally in love with the finished product and appreciate getting to be a part of the journey.